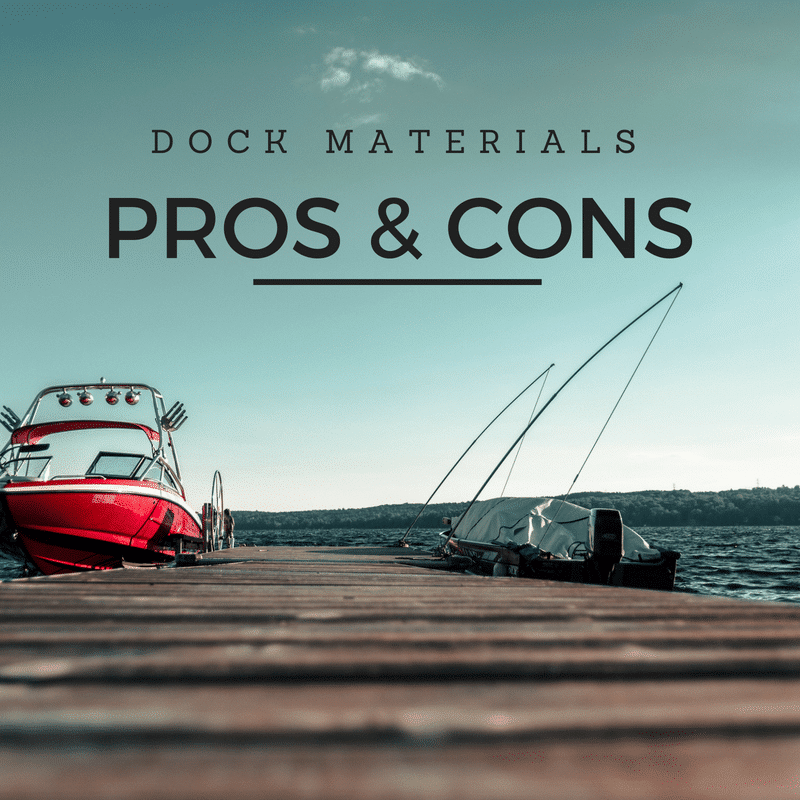 When determining which type of material to build your dock, it is important to utilize materials that are durable and will last season after season. Two popular options are aluminum and steel, which both offer a variety of pros and cons. In recent years, aluminum docks have gained popularity due to their low maintenance and durability. Low Maintenance & Durability – Aluminum does not rust and will maintain its strength year after year typically surpassing the lifespan of other type of docks. Light-weight – Aluminum docks are easier to install and will not heavily impact the foundation it is built upon in the shoreline. More expensive – The biggest drawback for the aluminum docks is that it can be more costly than the steel counterpart. Known for superior strength, steel docks are popular due to their cost efficiencies and strength. Strength: For docks that are heavily used, steel will be a great option for the strength of steel will outlast the constant use. Lower price: Steel is typically a more affordable option than the aluminum docks. Galvanize Steel: At Master Docks, we use galvanize steel to prevent rusting as long as possible and to keep the weight down. Rather than using using I-Beam or Truss system, we use 14 Gauge C-Channel for superior effectiveness. Heavier weight: While the dock is known for its superior strength, the weight can cause buoyancy issues. More maintenance and slightly shorter lifespan: Steel docks do not last as long as its aluminum counterpart and can require more maintenance due to rust. Interested in learning more? At Master Docks, we can provide a consultation to help you determine the best material for building your dream dock. Contact us today to get started!